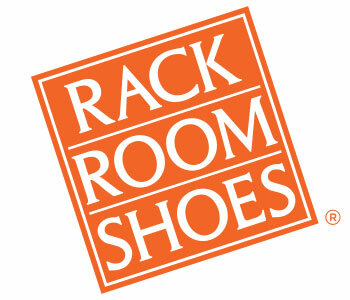 The Rack Room Rewards Program is sponsored by Rack Room Shoes. By becoming Members ("Members") of the Rack Room Rewards Program, Members agree to receive advertising, marketing materials and other communications from Rack Room Shoes except where expressly disallowed as a profile preference. The Rack Room Shoes logo, logos and taglines are the intellectual property of Rack Room Shoes. Members agree to all of the terms and conditions of the Program. Membership rules are void to the extent where prohibited by law. State fees and taxes may apply where required by law. Rack Room Shoes Rewards Membership ("Membership") is open to individuals at least 13 years of age. Commercial customers and others purchasing items for resale are not eligible for Membership. Employees of Rack Room Shoes are not eligible for Membership. Membership is nontransferable and subject to present and future Program rules. Enrollment becomes effective and acceptance of these terms and conditions begins when a new Member enrolls in the Rack Room Rewards Program. Rack Room Shoes may change the Rack Room Shoes Rewards rules, regulations, benefits, conditions of participation, or point levels for rewards, in whole or in part, at any time without notice, even though changes may affect the value of the points already accumulated. Rack Room Shoes may change or terminate Program partners, withdraw, limit, modify or cancel any reward, increase the points required for any reward, modify or regulate the transferability of rewards or benefits, institute or add reward blackout dates or limit the number of rewards for use by any one individual on any one purchase. Rack Room Shoes may, at any time, terminate or modify the Rack Room Shoes Program and Program rules without any further obligations to Members. Abuse of the Rack Room Shoes Rewards Program, including failure to follow Program policies and procedures, the sale or barter of reward certificates, products, points or promotional offers, using multiple Rack Room Shoes Rewards accounts ("Rewards Accounts" in an effort to abuse the Rack Room Shoes Rewards Program and any misrepresentation of fact relating thereto or other improper conduct as determined by Rack Room Shoes in its sole judgment, may result in cancellation of the Member's Rewards Account and future disqualification from Program participation, forfeiture of all points accrued, cancellation of previously issued but unused rewards and termination of the business relationship with Rack Room Shoes. In connection with the enforcement of any of the terms and conditions governing the Rack Room Shoes Rewards Program, Rack Room Shoes reserves the right to take appropriate legal action as it deems necessary to recover damages, attorneys' fees and court costs. Rack Room Shoes reserves the right to interpret and apply the policies and procedures communicated in these terms and conditions. All determinations by Rack Room Shoes shall be final and conclusive in each case. These terms and conditions supersede all previously published terms and conditions. As a condition of Membership, Members may receive print/electronic point statements, Rack Room Rewards updates and other related materials at the discretion of Rack Room Shoes. Rack Room Shoes reserves the right to cease mailing of Rack Room Rewards updates and related materials to any Member. A Member can view his or her Rewards Account activity online at Rackroomshoes.com. Rack Room Shoes reserves the right to make Rack Room Rewards points and promotional offers available to select Members based on purchase activity, geographic location, Program participation or information supplied by the Member. A Member may cancel his or her Membership at any time by notifying customer service Center by mail, email or telephone. Rack Room Shoes, in its sole discretion, reserves the right to cancel an individual Membership. As a Member of Rack Room Shoes Rewards, Members earn points for every dollar spent on any Eligible Product Purchase (as defined below) at rackroomshoes.com or a Rack Room Shoes store located in the U.S. Points accrue when a Member's Rack Room Rewards account information is provided at the time of purchase in-store or online.  Purchases earn points at the following rates:. Rewards Members receive 1 base points per dollar spent. Base points are based on the dollars spent at Rack Room Shoes and go towards earning Rewards. 200 points will automatically become a $15 Reward. If you would no longer like to receive e-mailed coupons, special events information, sales notifications or other messages from Rack Room Shoes, please click and follow the “Unsubscribe” instructions in your e-mail. OPTING OUT OF RECEIVING E-MAILS WILL ONLY AFFECT YOUR RECEIPT OF E-MAILS. YOU MAY STILL RECEIVE MESSAGES FROM RACK ROOM SHOES VIA TEXT MESSAGE OR OTHER METHODS. Receive the latest offers and promotions from Rack Room Shoes by texting RRS to 77550. Although Rack Room Shoes text messages are complimentary and require no purchase or fee for participation, Message and Data Rates May Apply through your mobile carrier. Check your mobile plan for more details. Subscribers will receive up to 10 messages, each month. If you wish to opt out of receiving text messages, or if you have errantly received a marketing text message without opting in to the program, you can cancel the program at any time by texting STOP RRS to 77550. OPTING OUT OF RECEIVING TEXT MESSAGES WILL ONLY AFFECT YOUR RECEIPT OF TEXT MESSAGES. YOU MAY STILL RECEIVE MESSAGES FROM RACK ROOM SHOES VIA E-MAIL OR OTHER METHODS. You may text HELP RRS to 77550 to receive additional information regarding Rack Room Shoes’ Mobile Alerts Program. STANDARD MESSAGE AND DATA RATES MAY APPLY. WHILE RACK ROOM SHOES DOES NOT CHARGE ANY FEE FOR USING ITS SERVICE, YOUR USE OF THE SERVICE VIA TEXT, MULTIMEDIA, OR INSTANT MESSAGE ON YOUR MOBILE PHONE OR ANY OTHER DEVICE IS SUBJECT TO THE STANDARD MESSAGE AND DATA CHARGES PER YOUR CARRIER’S RATE PLAN.